Acting like a publisher and having your brand create content can be said the norm of the modern day B2B marketer. As thought leaders continue to tell marketers that “content is king and distribution is queen”, how is your organization driving audiences to your content outside of email? 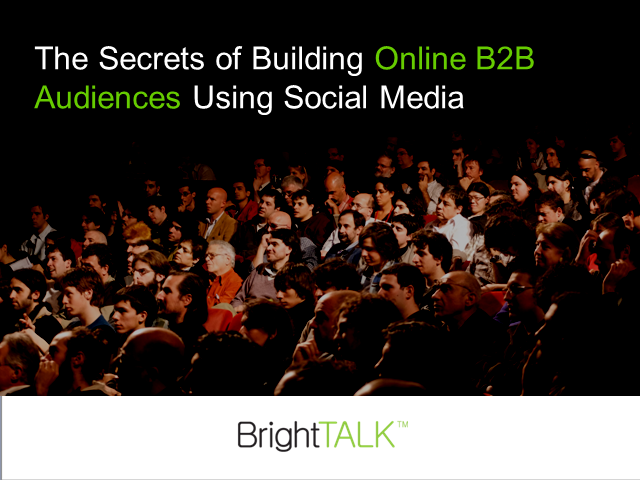 Join Quoc Dang & David Pitta of BrightTALK as they share the top tips for leverage partners found in social media networks to continuously drive net new audiences to content. How to build a sustained network of "promoters of your content"